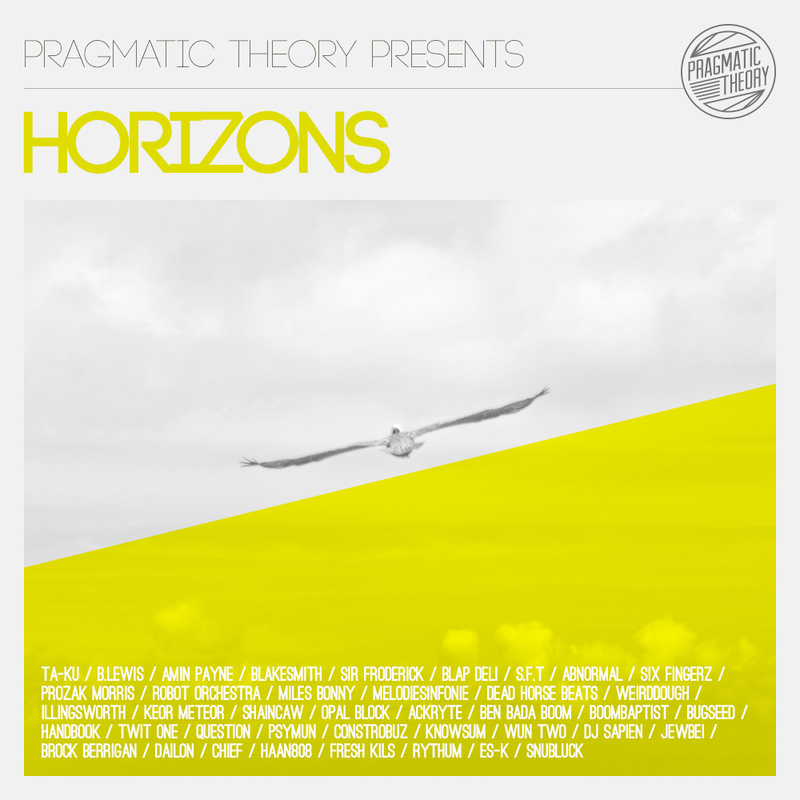 Pragmatic Theory proudly presents ‘Horizons’. We’d like to thank each & every artist as well as all listeners, followers & supporters of Pragmatic Theory. We are truly humbled & without you albums like this would just not be possible. B.Lewis, Opal Block, Dead Horse Beats, Fresh Kils, Chief, Prozak Morris, BoomBaptist, Ta-ku, iLLingsworth, Sir Froderick, Ackryte, Dailon, Blap Deli, Amin Payne, BlackSmith, S.F.T, Weirddough, Twit One, Wun Two, Bugseed, Jewbei, Question, Robot Orchestra, Miles Bonny, Rhythum, Keor Meteor, Psymun, Es-k, Six Fingerz, Snubluck, Abnormal, Ben Bada Boom, Constrobuz, Brock Berrigan, Melodiesinfonie, Handbook, Knowsum, DJ Sapien, ShainCaw & Haan808.